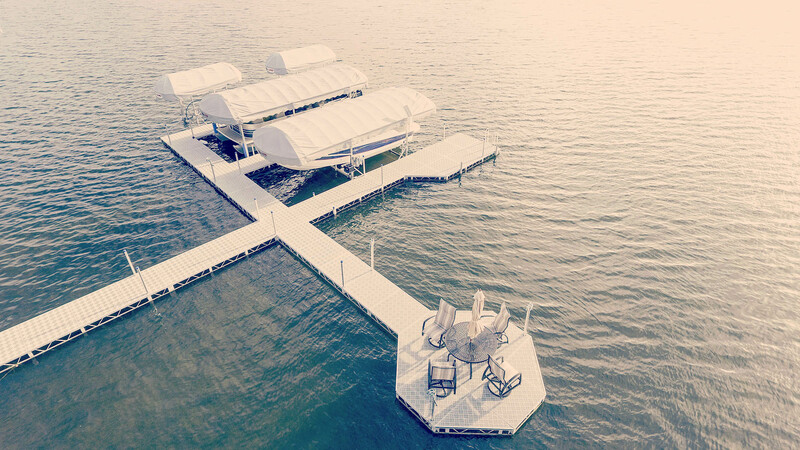 Installing and removing your dock need not be a dreaded chore. 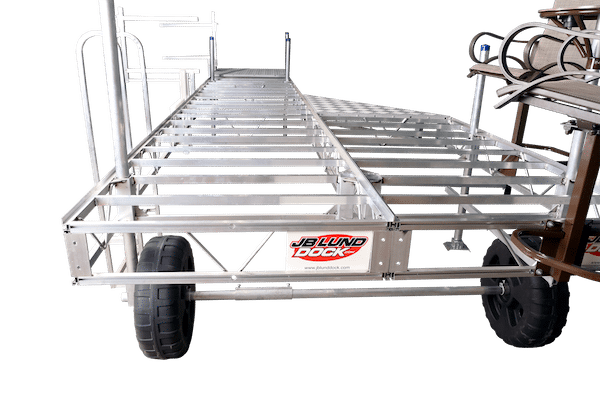 JB Lund’s Roll-In Dock system boast a lightweight classic design, and provide the ultimate ease going in and coming out of the water. 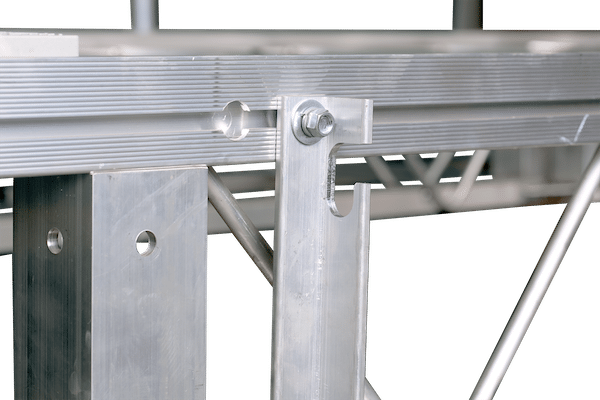 Sturdy aluminum trusses with cross members every 12″ and 2 3/8” OD aluminum legs or optional screw legs mean your dock won’t shift or flex. 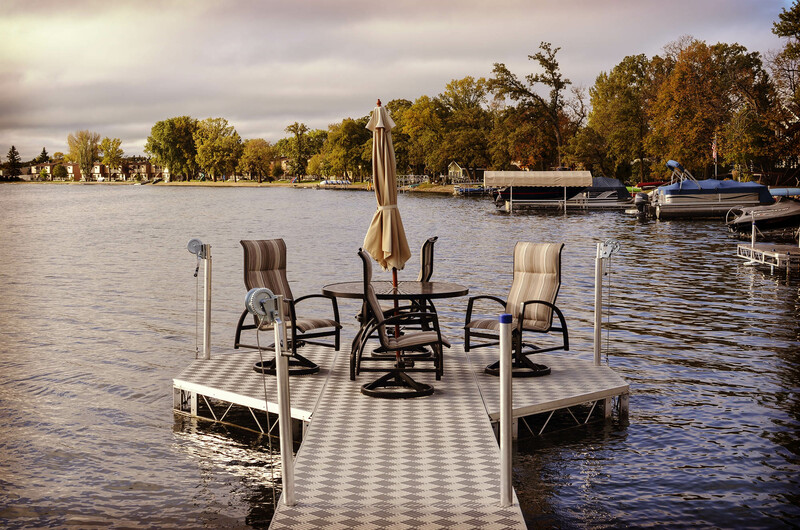 Removable 4×4 foot decking panels allow you to match your dock to your needs and environment. 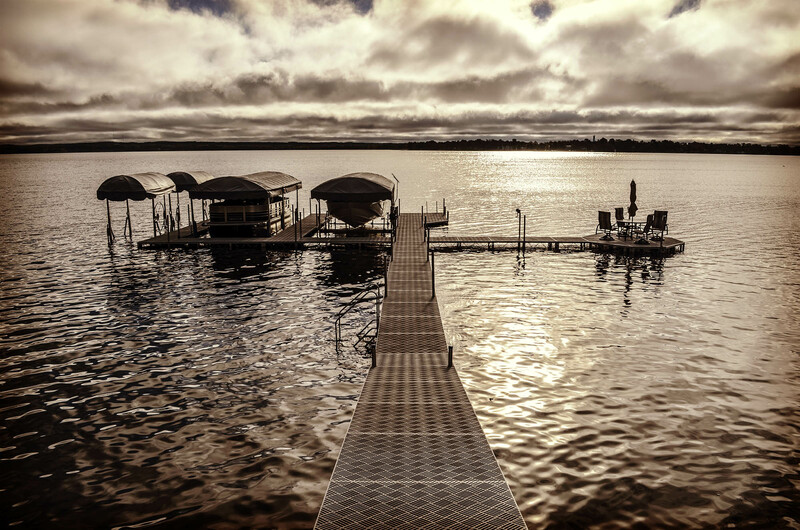 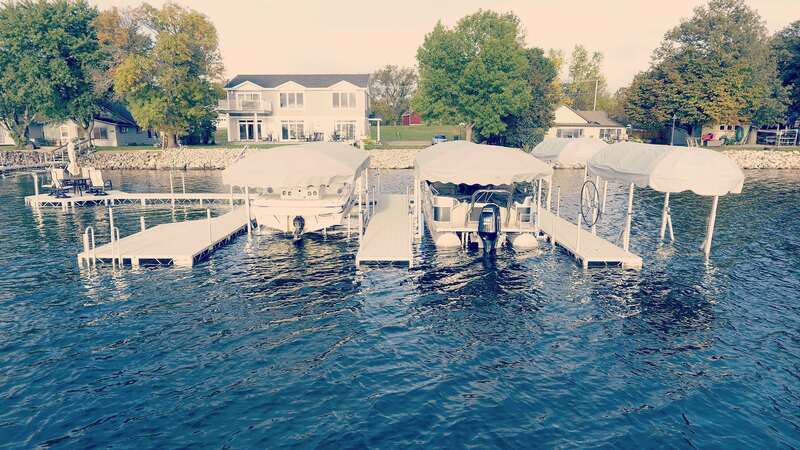 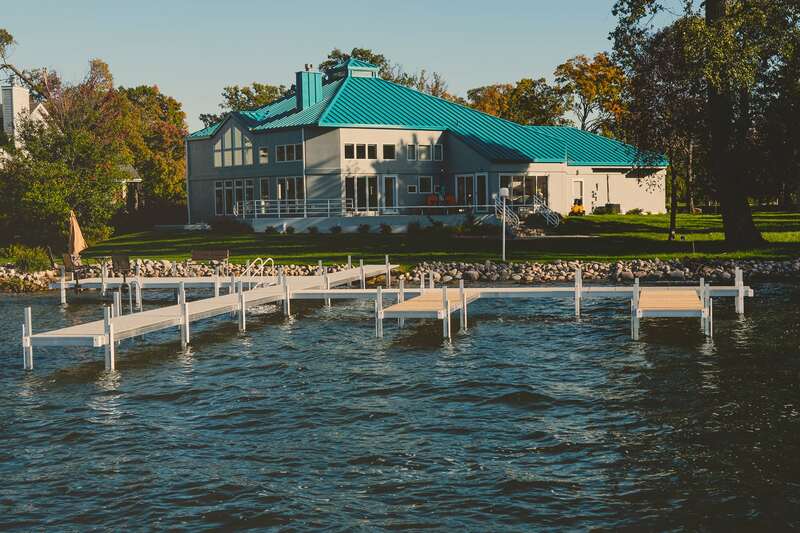 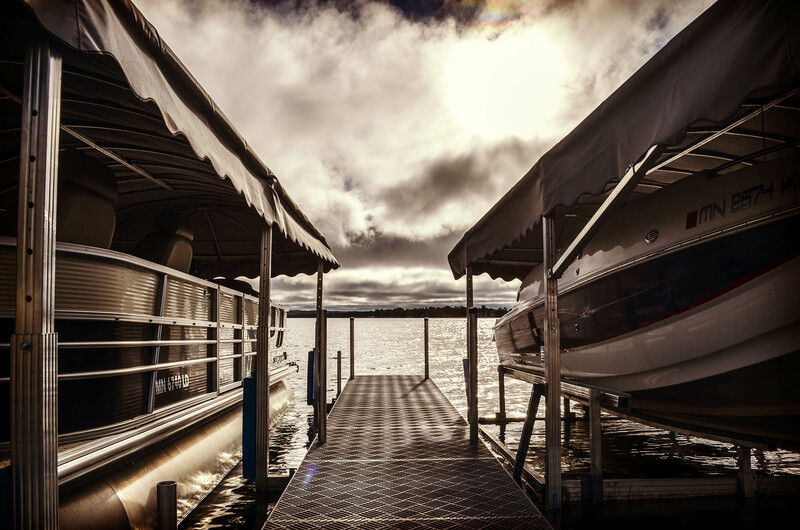 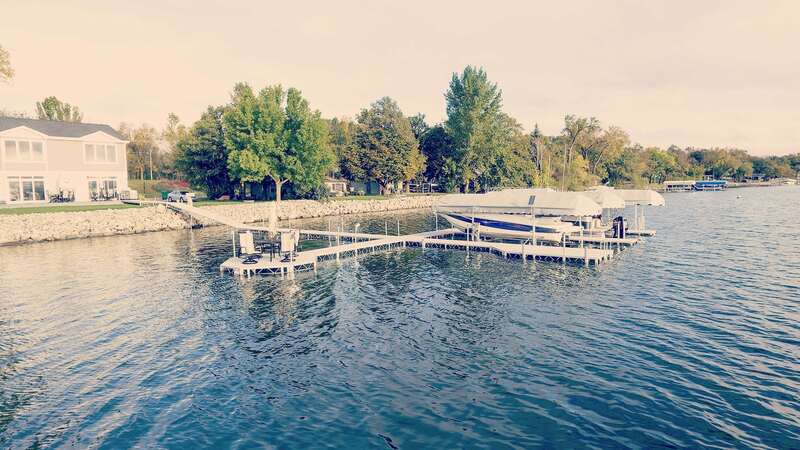 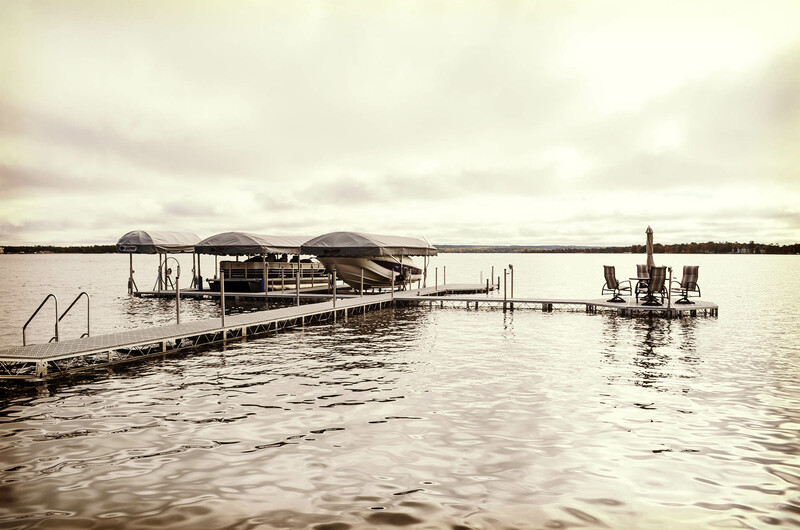 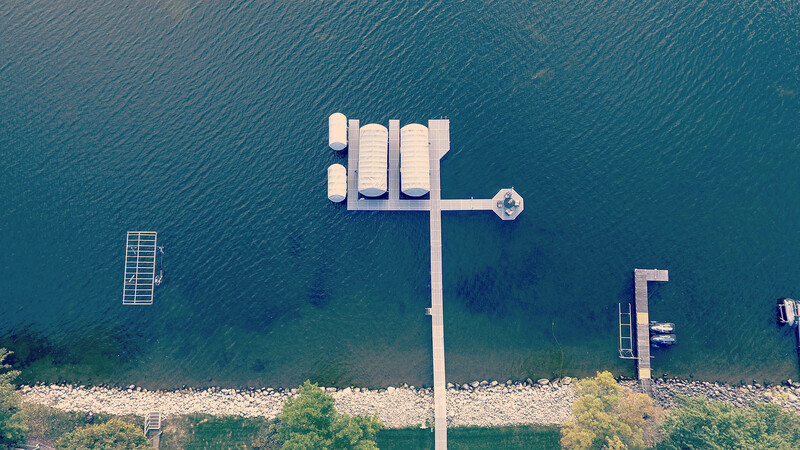 2 3/8” OD aluminum post or optional screw legs provide a solid foundation for the JB Lund Sectional Docks and provides the dock owner with a solid sense of security. 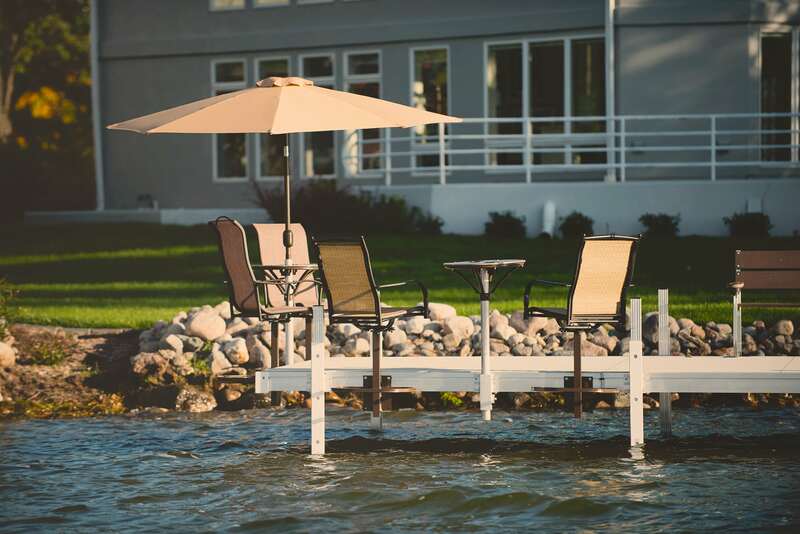 JB Lund leads the industry with cross-members every 12″ which eliminates side to side flex and fully supports the decking. 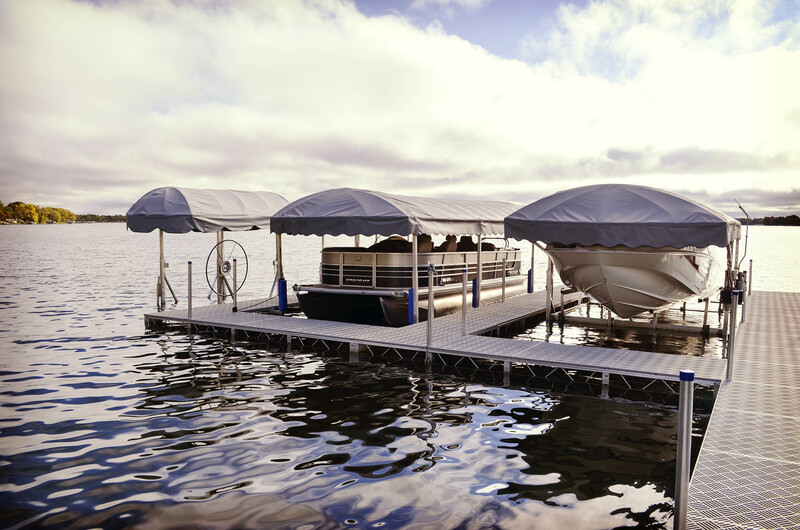 JB Lund’s Roll-In are designed to be sturdy, yet versatile. 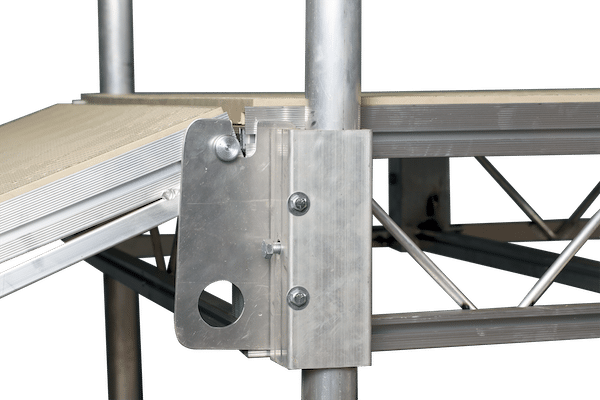 With 2 3/8” aluminum legs and pockets mounted to the the trusses, you can adapt to any situation. 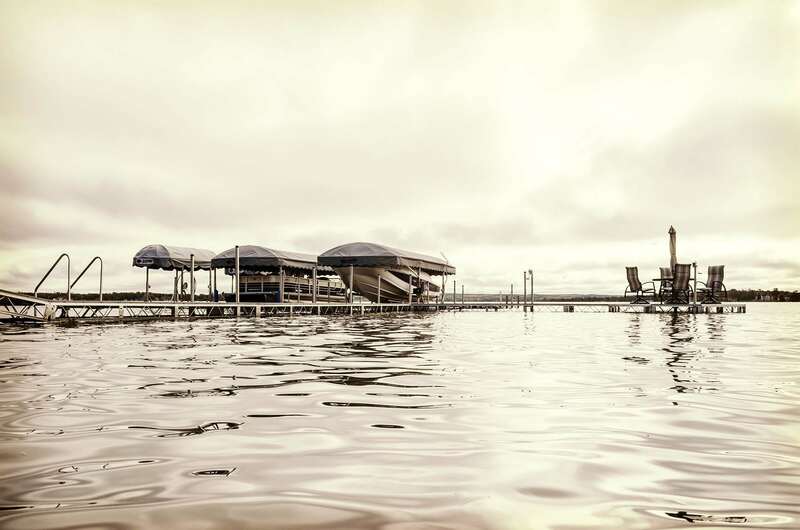 JB Lund’s Infinite Nut Channels allows for accessories to be located anywhere with no drilling.  Constructed of injection-molded vinyl. 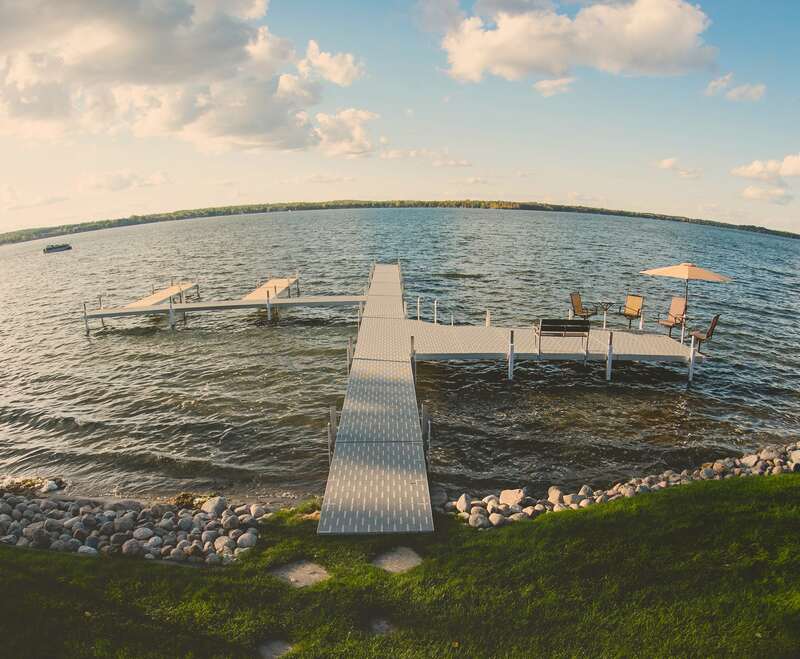 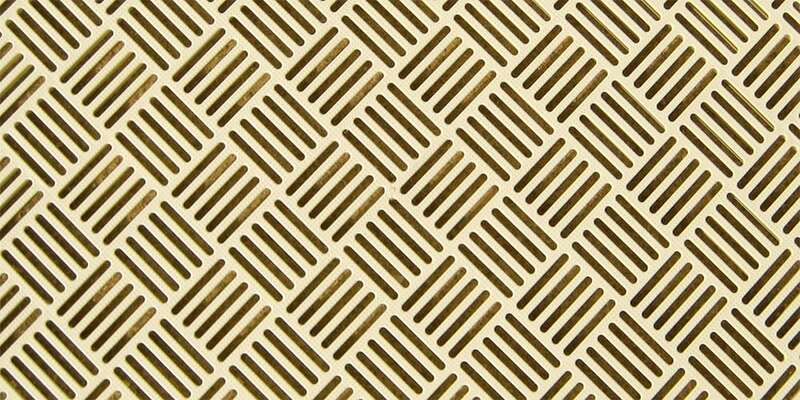 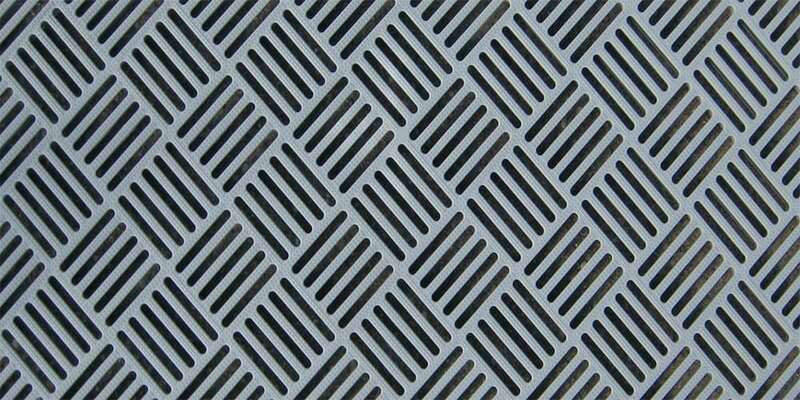 JB Lund’s gray and beige grate decking prevents water pooling, making it ideal for rough water.